Cairo’s arthouse cinema Zawya will screen 20 newly restored films by legendary Egyptian director Youssef Chahine (1926-2008) when it reopens at its new venue on 12 September. The programme marks the tenth anniversary of Chahine's death and is organised by the company he founded, Misr International Films, in collaboration with Egyptian and European partners. It will run until 22 September. Launched in March 2014 by Misr International Films, Zawya, Cairo's first arthouse cinema, was based at the historic Odeon Cinema in downtown Cairo. The cinema is now moving to a new location at Cinema Karim a few streets away, to accommodate its ever-growing audience. Alongside the screenings of the restored films is a programme of workshops, discussions, and lectures. 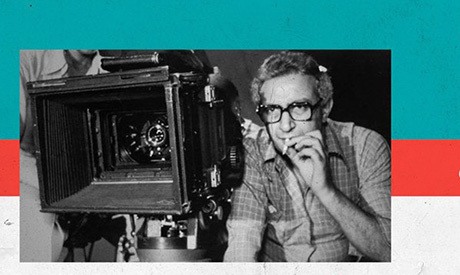 A masterclass by Egyptian director Basel Ramsis on 14 and 15 September will look at the development of Chahine’s vision and how his storytelling technique developed between 1950 and 2007. Ramsis, who is based in Spain, has directed several short films and video art projects and documentaries. He teaches film directing in Spain and Cuba and serves a jury member in several film festivals in Europe and Latin America.